In order to ensure care for patients in North Carolina during Hurricane Florence, UNC Health Care has announced it will waive fees associated with its virtual care service, UNC Urgent Care 24/7. 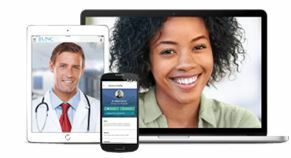 This service from UNC Health Care provides patients with real-time access to physicians via phone, tablet or computer. To register and create a UNC Urgent Care 24/7 account, visit uncurgentcare247.com or visit the Apple App and Google Play stores to download the app to a smartphone or tablet. Patients should use the offer code UNCFLORENCE2018 from the website or app. For more information, including frequently asked questions, or call 888-909-9681.